Monday Mailbox is a weekly segment wherein I cover my most recent acquisitions, whether via purchase, library, early reviewers, Librarything.com Member Givaway Program or gift. 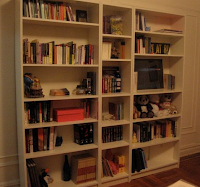 I recently purchased (from Ikea) some new book shelves. My first set of adult book shelves. Before, my books lived on a collection of thrift store or curbside shelves that a) were not cutting it and b) were hideous. So now I have new shelves and they are gorgeous. Perhaps the most interesting thing, though, about having new, expansive (not to mention expensive) shelves, is that there's SO much ROOM! I mean my collection is not small... it's not very large, but small it definitely is not. 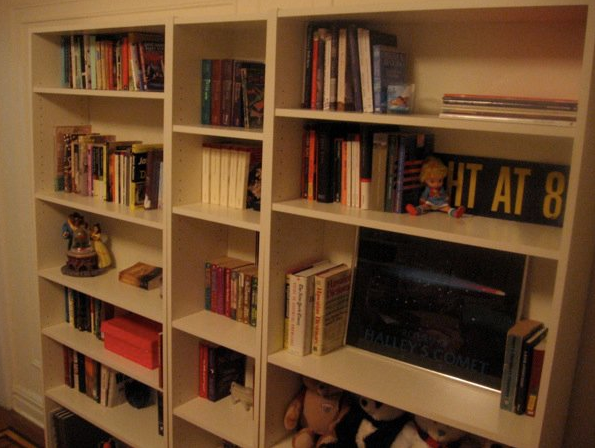 But on my previous shelves, there was negative room for anything. Volumes piled on top of volumes, squeezed into tiny corners, I mean it was a mess. 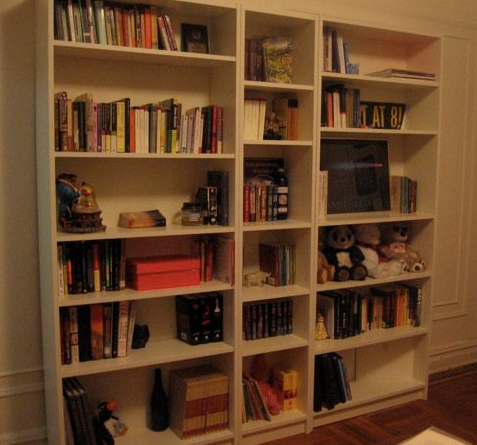 But now... now I have so much space...and I find that I need more books! So getting some new books this week definitely brought me some good cheer, that I now share with you! First off, I must share that part of my faith in humanity has been restored. 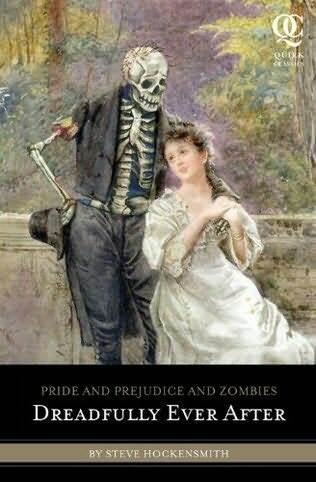 No, I still haven't located whatever book got misplaced by the construction workers next door, BUT Quirk finally sent me the conclusion to the PPZ series, Dreadfully Ever After. I had just marked that one as a lost cause and BAM there it was at my door. A really nice surprise, that. For my birthday, my sister had planned on buying me something while we were in the Disney parks. But the thing was I didn't really see anything that I wanted. The fact is we grew up in Orlando. For us, going to Disney wasn't a privilege or a special treat... sure, we had special times(!!) but going to Disney was more like a right to us. So it doesn't have the same novel appeal (ha, novel) for me as it does for others. So after the parks, we went to Barnes & Noble where Rory had a gift card to spend (I also got one this week, and it's burning such a hole in my pocket!)... so I let her buy me a book (she also bought me soda, and got me into the parks, and got me a birthday pie later... it was a good birthday). 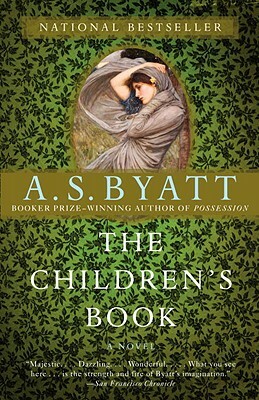 She ended up buying A.S. Byatt's The Children's Book which has been on my to-read and to-purchase lists since it was published 2 years ago. I've been dragging my feet, mostly because I was debating whether or not I wanted the cover with the dragonfly on it. But in the end, I've got the paperback now, and I'm excited to dig into its 879 pages. 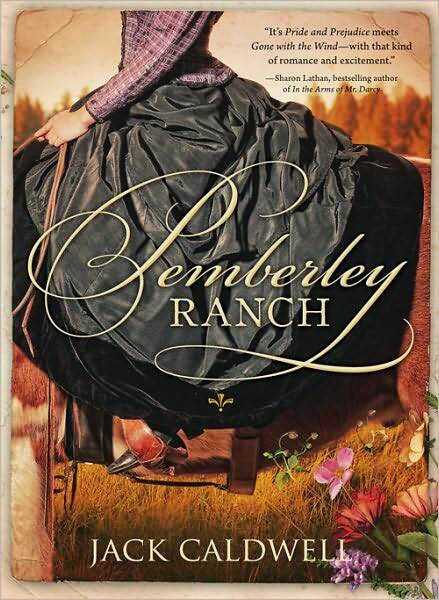 That same day, I purchased myself a copy of Jack Caldwell's Pemberley Ranch. When I showed it to Rory, she looked at me askance. I told her to trust me, that I had raised both eyebrows at myself, but the fact is that Laurie and Christina over at AustenProse liked it, and it's actually supposed to be good. So I figured I'd give it a shot. Because why the hell not? World" journal, and when I was at B&N they only had one in stock and, according to the Chronicle Books website, it's currently out of stock. Probably because it's so adorable. I stopped journaling some time ago, but I'm actually using this thing. Again, probably because it's so EFFING adorable.